Wednesday December 30th 1903 It was a cold day. I did the regular work and sewed on my waist. I wrote a long letter to Aunt Sarah in the evening. 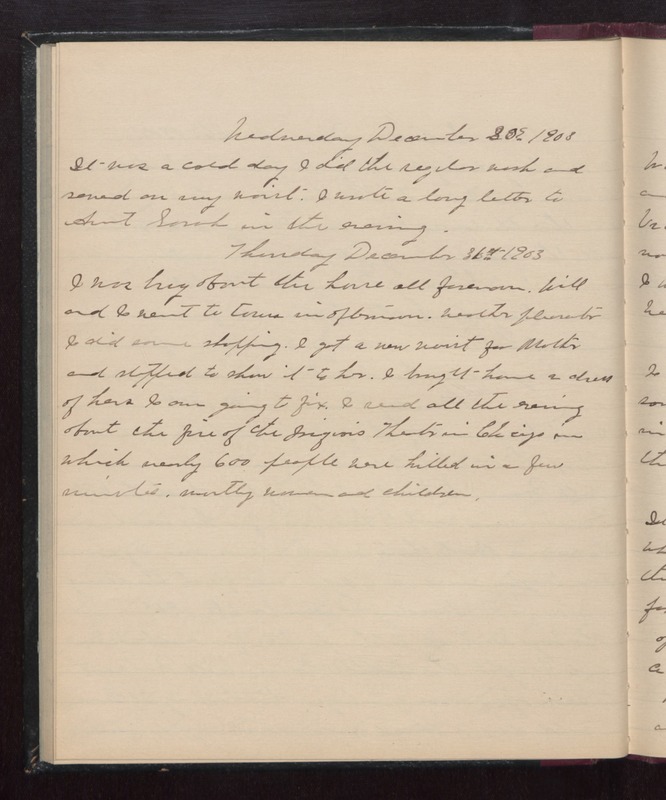 Thursday December 31st 1903 I was busy about the house all forenoon. Will and I went to town in afternoon. weather pleasanter I did some shopping. I got a new waist for Mother and stopped to show it to her. I brought home a dress of hers I am going to fix. I read all the evening about the fire of the Iroquois Theater in Chicago in which nearly 600 people were killed in a few minutes, mostly women and children.